From collecting wonky vegetables straight from the farms and distributing them to supermarkets, to connecting hungry customers with surplus meals from restaurants, innovative entrepreneurs are transforming food waste into profit. One of these businesses helping solve the one trillion dollars problem of food waste is Elysia Catering. Elysia is a startup social enterprise that buys surplus from local artisans suppliers and uses them to create delicious breakfasts and canapes. Today, Elysia’s founder, Sophie Andre, will be our guest blogger to talk about her story, motivation and how she has been mentored by the talented chef Emily Roux, who is now helping her develop even more delicious recipes. I am originally from France, but I had lived in the UK before, as well as in the United States and Senegal. In 2016, I moved back to London with the idea of selling high-quality breakfasts and canapes to companies. When talking with local producers, I learned that a portion of their products end up getting wasted due to their size or shape, yet the quality of the food remains unchanged. I thought I could help reduce food waste by buying these delicious “wonky” ingredients, preparing breakfast using them and then selling it for business meetings and events. That is how Elysia was born. We are a London-based catering company using rescued food from independent local producers. We buy these high-quality products that would otherwise be wasted at a bargain price, allowing the producers we are partnering with to make a margin. We prepare our breakfasts and canapes and deliver them by bicycle to offices and events. By using bikes instead of cars or public transportation, we do add to air pollution. It’s a win-win situation. What is surplus food and how chefs can source it? Surplus food can come in many forms. It can be a broken package of quinoa, British cured meat that has passed its best-before date or irregular-shaped fruits, just to mention a few. The food is perfectly edible and delicious but may still end up in the bin either because of its natural imperfections or because of our exigent quality system and standards. We would like to make it possible for any chef, F&B Director or d restaurant owner to source surplus food easily. We are now working on a new project to create these relationship between producers who have surplus food in large quantity and the hospitality sector. The story between Emily and Elysia started one year ago when we met at Echo Food++, London’s business accelerator programme designed for food startups. I am very lucky to have met Emily who is now supporting us in our catering adventure. Emily is a talented chef who has grown up surrounded by food. When she was only 12 years old, Emily used to spend her weekends in the kitchen helping her father, Michel Roux Jr, at Le Gavroche and at 18 she started catering college. Emily just published a beautiful cookbook, The New French Table, with her mother Giselle, sharing their talent with Mediterranean recipes. In addition to her expertise and passion for food, Emily is a firm believer in recycling and reducing carbon footprint. She decided to support the company and has created a beautiful "tartine" for our aperitif menu. 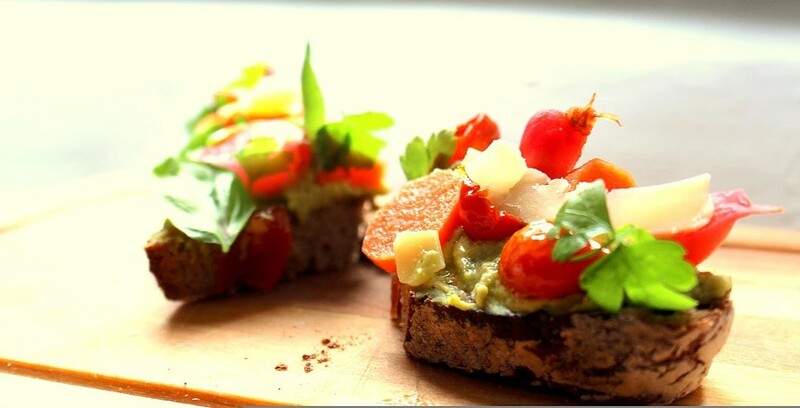 A “tartine” is a French open-faced sandwich eaten as a light lunch or a quirky aperitif. This recipe utilizes several wonky vegetables that have been pickled, roasted and turned into a delicious ChicP hummus. It is served on a thick slice of toasted rye sourdough bread, accompanied with British cheese, a drizzle of olive oil and freshly ground black pepper. Her fabulous experience with food and her creativity has been absolutely priceless to make the most of our delicious surplus food. 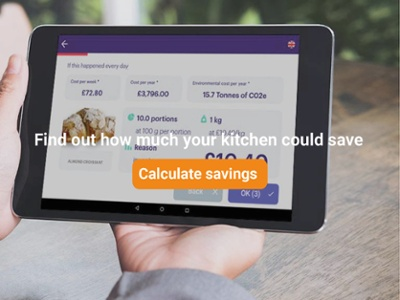 If you are considering to work with surplus food or if you would like to make your kitchen more profitable and sustainable , don't hesitate to contact us.